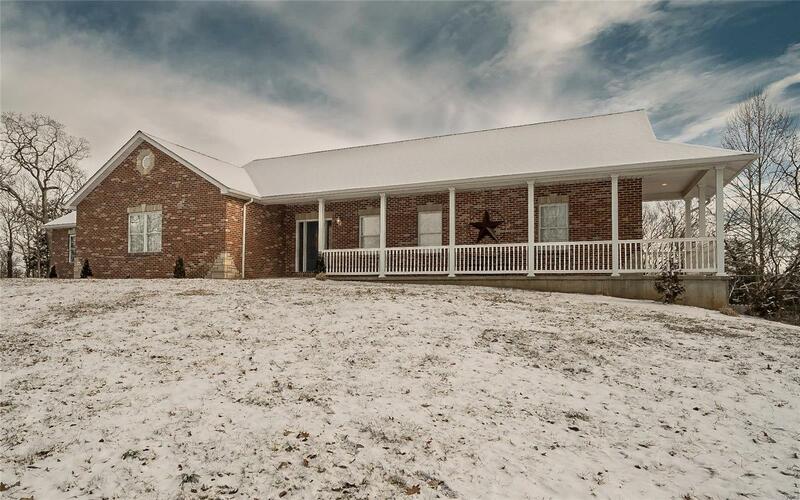 Beautiful brick & stone 4/3 Ranch home on nature filled 3.66 ac partially fenced lot. Open great room plan w/ vaulted ceilings, lots of windows & streaming natural light, floor to ceiling stone & brick fireplace, gleaming wood floors & ceramic tile throughout. Spacious kitchen w/ custom island, Silestone counters, breakfast bar, custom cabinets & walk in pantry. All bedrooms have walk-in closets with great organizers in the Master! Dining room and Great room both open to back deck & gorgeous views for miles. Basement is a blank slate walk out w/ 9â pour, large windows and sliding doors to patio. Two 200amp service boxes, 2x6 construction, wired for generator backup. 700 sq ft of additional basement under the over-sized side entry garage. Highly Rated Rockwood Schools. Don't miss this opportunity! Call to see it today!